For more than 3 decades Donna Vinci has been helping women look their best at everything from church functions and business events to classy social gatherings. Her designs have become well-known and respected throughout the fashion world with the name Donna Vinci now synonymous with premiere fashion. 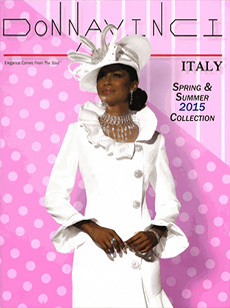 Combining the finest materials with both classic and modern designs, Donna’s vast array of gorgeous creations includes women’s dress suits, church suits, casual wear, sportswear, hats and accessories. Every Donna Vinci piece showcases a flattering fit, a stylish design and exquisite couture detailing, and best of all, they are always available in a wide range of sizes. 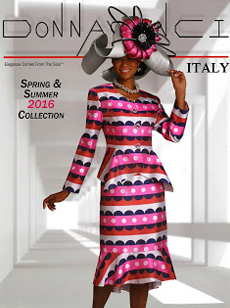 Whether you are in the market for dress suits, church suits or a stylish casual outfit, Donna Vinci designs will have you looking your best regardless of the occasion. 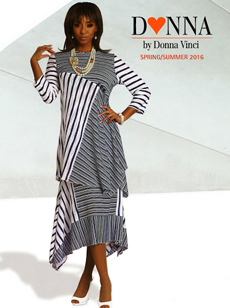 Endorsed by celebrities such as Dottie Peoples and Dorinda Clark Cole, Donna Vinci will have you standing out for all the right reasons. The Fall & Holiday Collection is full of sophisticated style. Donna Vinci Italy uses only the finest fabrics like their exclusive peach skin fabric, or duchess satin, silk and jacquard. 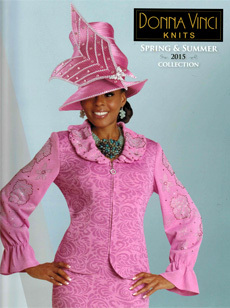 Many of the pieces in this collection have a matching designer hat. The Fall & Holiday Collection of gorgeous church suits and dresses is full of sophisticated style perfect for church and special occasions. 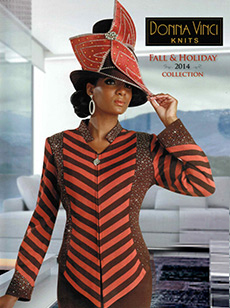 Donna Vinci Knits are soft and stylish, using exclusive knitted lurex yarn or jacquard with gorgeous rhinestone accents and embellishments. Each piece of the DVC Exclusive Knits Fall & Holiday 2014 Collection features exclusive metallic knitted lurex with rhinestone accents for gorgeous style and a flattering fit. 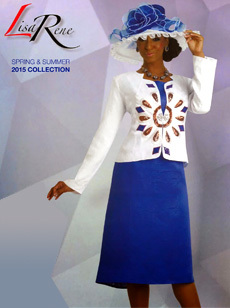 Look chic and stunning at any special occasion or event. 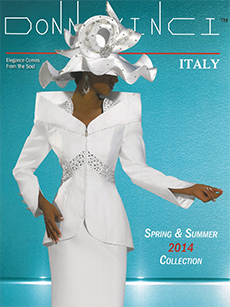 The Fall & Holiday 2014 Collection of gorgeous church suits are stylish and sophisticated ensembles. With exclusive embroidery and fine fabrics like boucle and peach skin, this collection features chic accents to have you looking stunning- from rabbit fur trims to rhinestone accents. A fantastic choice for business functions, church gatherings or any refined social event, the Donna Vinci Italy collection is pure class. 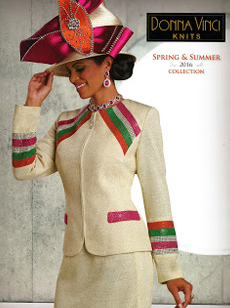 These versatile women’s suits will have you standing out for all the right reasons. 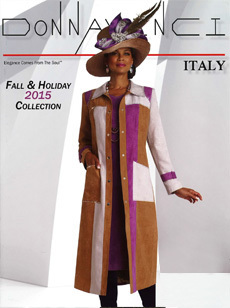 Stand out for the right reasons in any stylish setting with a piece from the versatile Donna by Donna Vinci collection. 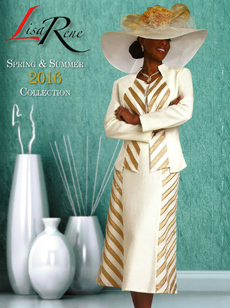 Showcasing everything from dress suits to church outfits, this range features a wonderful blend of classic and modern styles. 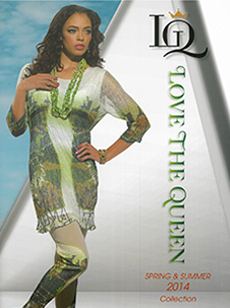 Made from exclusive micro fiber fabric, the Love the Queen collection by Donna Vinci Suits is stylish, chic and versatile. This contemporary range is well suited for church gatherings, business functions or any sophisticated social setting. 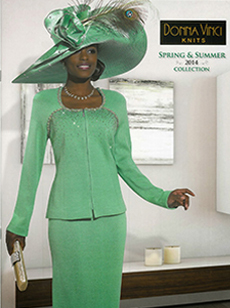 Stylish and sophisticated, the Donna Vinci Knits collection by Donna Vinci Suits of women’s suits will have you looking and feeling fantastic. Every one of these dress suits features classic elegance, and an inspired palette, making them highly versatile creations.